The Video Overlay is now working as a prototype. It is a little extender device for the Mikrokopter to show relevant flight data as an overlay on top of any PAL video source. It’s really a great experience to fly a Mikrokopter with video goggles and watch some flight data at the same data. 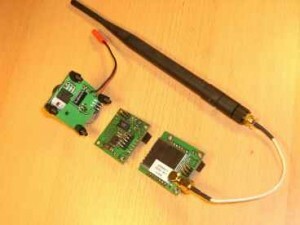 The solution contains 3 modules: Camera module including voltage regulator, Overlay generator and 2.4Ghz video transmitter.